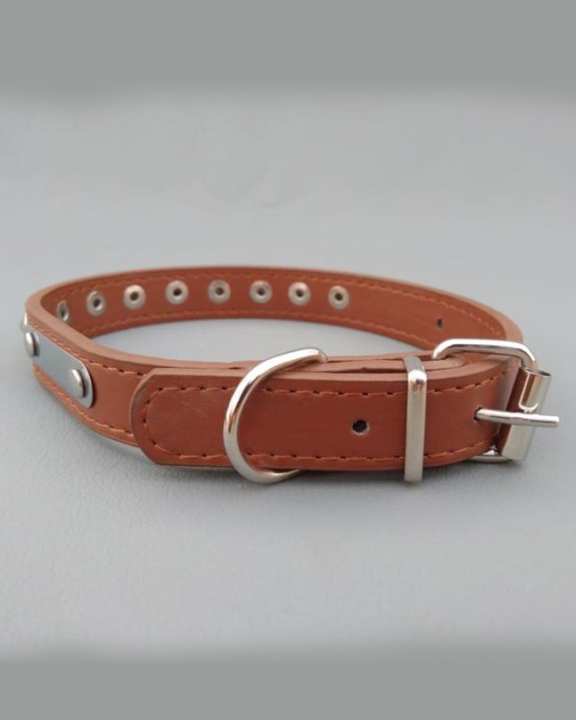 DOG COLLARCOLLARS ARE SOME OF THE FINEST COLLARS MANUFACTURED.THE ENDS OF THE TAPERED COLLARS PROVIDE EASY BUCKLING AND GIVE THE COLLARS A STREAMLINED LOOK.COLLAR TAPER TO 0.75 INCHESCONSTRUCTED USING HEAVY ROLLER BUCKLES, NICKEL PLATED STUDS, SOLID WELDING D-RINGSTITCHED WITH PREMIUM NYLON THREAD.COMFORTABLE FOR PET. the color shown in pic is brown and you have mentioned brown so the color shown in pic is brown and you have mentioned brown so why i got black color ? i got black color ? i need 100 pieces.? black and brown? available?